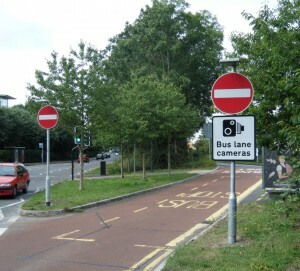 The bus lane enforcement cameras are located at Highwood Road in Patchway and New Rd/Brierly Furlong in Stoke Gifford. The cameras will address the abuse of bus lanes and bus gates by unauthorised traffic and will help ensure the reliability of local bus services. We have received reports from both bus companies and members of the public that the bus lanes are being abused. Penalty Charge Notices (PCN) will be issued to anyone that infringes the bus lanes and will include a secure web link to a video showing the offence. Chair of the Communities Committee Cllr Heather Goddard said: “The council agreed its policy on bus lane enforcement cameras back in 2013. Since then, there have been a number of high profile cases nationally where bus lane enforcement has been criticised and we wanted to learn from those before switching on our cameras. Each potential infringement will be reviewed by a qualified officer and if any mitigating factors such as needing to pull over for an emergency vehicle are present we wouldn’t issue the PCN. The monitoring system uses Automatic Number Plate Recognition to identify unauthorised vehicles and generate penalty notices. As well as ensuring that bus journeys are not delayed, enforcement will also help remove unauthorised traffic that can delay emergency vehicles.